Panaji, capital of one of the richest state of India and a international tourist destination, is obviously blessed with pretty robust transport service. Panaji’s state government and private transportation owners have always ensured that local transportation services always works at optimum level, as it plays a very critical role in aiding the booming tourism sector of Goa. Goa has pretty efficient bus service, which is solely operated by Kadamba Transport Corporation or KTC. 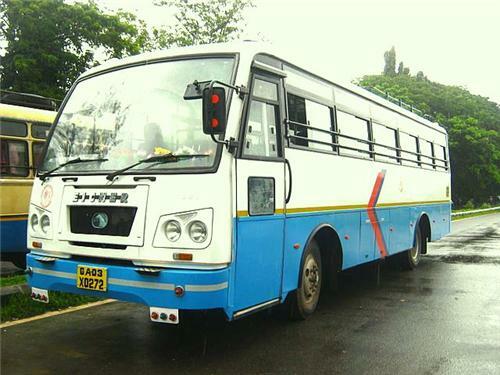 KTC buses connect Panaji to almost all the important rural places and prominent towns of Goa. In addition, KTC buses also connect Goa to neighboring states of Maharashtra and Karnataka. KTC’s main terminus is located in the very heart of Panaji city, from where all the KTC buses originate. Besides, KTC bus stands are also available outside Karmali Station (nearest railway station to Panaji) and Dabolim Airport. Given below are names of all the important towns of Goa to which Panaji is connected via KTC bus: Margao, Vasco, Mapusa, Curchorem Ponda, Dona Paula and Ponda. KTC buses usually bear white and blue color or even complete blue and yellow color. However irrespective of the colors, the name Kadamba is always written and hence it is very easy to recognize the bus. 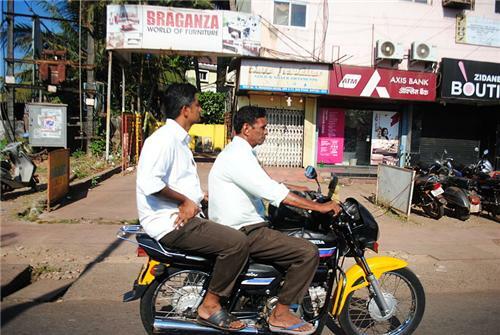 Panaji is one of those few cities of India where motorcycle taxi is used as popular mode of transportation. In Goa they are usually referred as pilot, which is actually a direct reference to the motor cycle driver. They usually allow only one customer at a time. One can hire motorcycle taxi from motorcycle taxi stands located at all the important locations in the city. Besides, one can also stop motorcycle taxi wherever one spots it. They are easily recognizable by yellow mudguard and yellow number plate. In addition to motorcycle taxi, one can also directly hire bikes, moped and even bicycles from rental companies that are located at important locations like near beaches and stations. Obviously in this case one has to drive the bike by oneself. The hiring rent totally depends on for how long or duration one wants the bike. However, during peak season - when number of incoming tourists increases – the rent is tad higher. Also, rent depends on which type of bike one wants to hire. For instance, the rent of Enfield would be obviously much higher than normal scotty like Kinetic Honda. Another very important information is that rental companies insist on a deposit of passport or valid ID such as PAN card etc from hiring person. There are two types of taxi services in Panaji city. The one which is usually draped in complete white color and the one in typical yellow and Black colors. There is not much difference between the two in terms of comfort and luxury, however the white color taxis offer more comfort. Taxis services in Panaji are mostly used by incoming tourists than locals. Tourists mainly use it for sight seeing. Besides, one can also hire cars from local rental companies and enjoy the pleasure of driving all by themselves. As for the rent is concerned, rent and fare is already pre-decided. Although as per the RTO rules, taxis in Goa are supposed to charge the fare as per the meter, but that rarely happens. Hence, it is advisable especially for tourists to bargain for a better deal, if they at all find the rent/fare is unduly high. 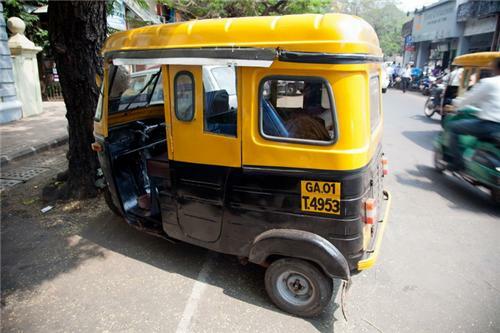 Just like motorcycle taxis and normal taxis, auto rickshaws are another popular mode of transportation in Panaji city. They bear the typical yellow and black color. Their stands are available at all important locations in Panaji including outside Karmali Railway Station and Dabolim International Airport. Auto rickshaws in Panaji again don’t charge as per the meter. This obviously means that rent is already pre-decided depending on which location commuters want to travel.